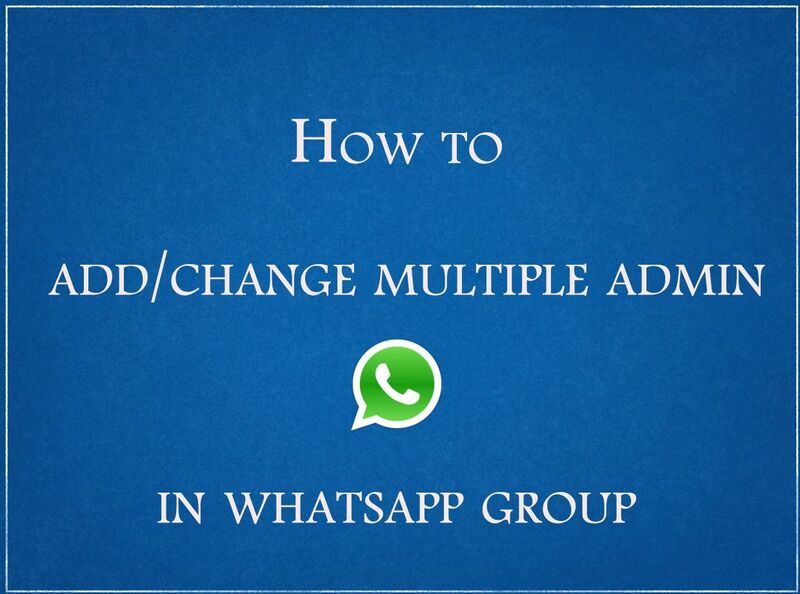 How to make multiple Whatsapp group admin or change admin? I have been writing many posts regarding whatsApp including how to send more than 10 images on whatsApp and many more. So with yet one more another article for whatsApp I am here again. whatsApp is one the coolest application. It is so famous and highly used that facebook bought it for itself paying millions of dollars. It is amongst one of the those application which does not require any introduction. Even though I know many of you are going to ignore this theory introduction and skip towards the main methods. I still wanna write it for those who wish to read. Bingo…… whatsApp is one the most widely used app people of all genders and ages are using it. It is a great instant messaging application. Including variety of symbols and great features like sending images, videos and audios too. It is not only an app now it has become a part of life a habit for its users. The greatest thing about it is that even if you have slow internet it will still work fine just like it does normally. Only downloading images and videos slows down rest of all is just fine. I know it because probably the place where I am living has the worst internet but I am still fine because my whatsApp is working.. yupiee. Step 1: go to the group for which you are the admin. Step 2: now go to the participants of the group. Step 3: select any participant that you wish to make the admin for this group. 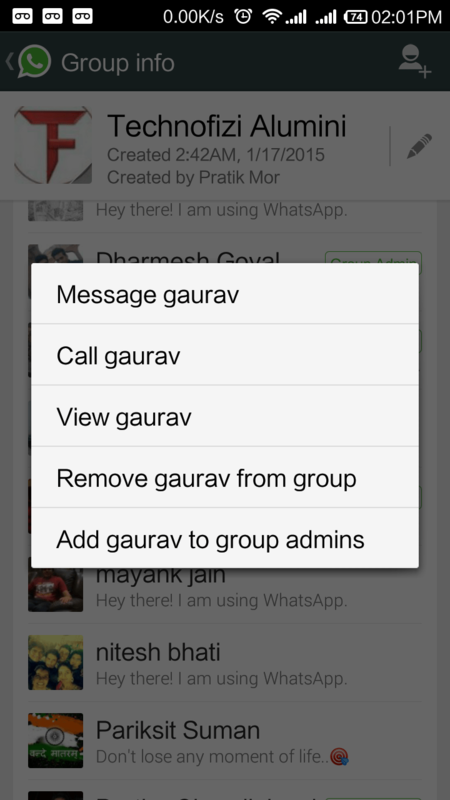 Step 4: a window will pop out select the option which states add friend(name) to group admin. It was simple and easy .. wasn’t it.. happy texting. Like us and do share if you like my posts.